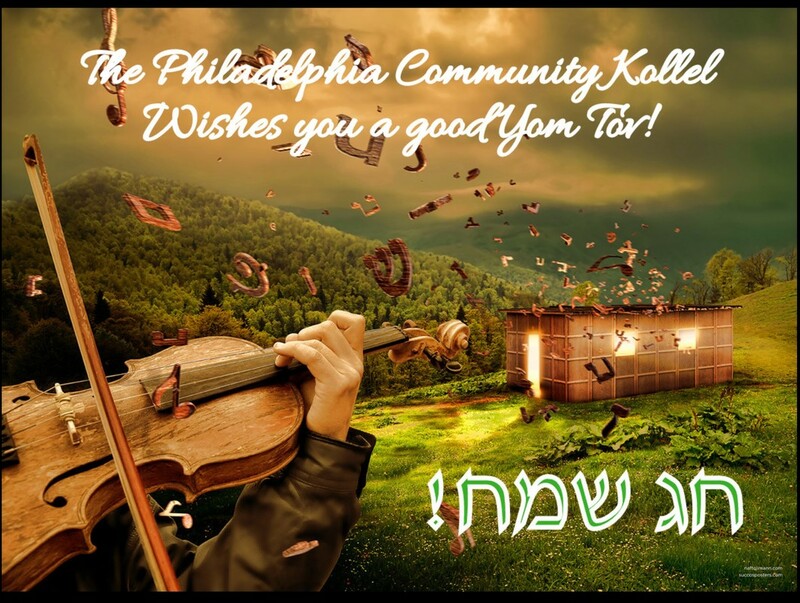 The Kollel Sukkos Bein Hazmanim (Intersession) runs from Thursday, September 20 through Tuesday, October 9 (Rosh Chodesh Cheshvan 1). Visit this page for Yeshivas Bein Hazemanim Information. To listen to some of our past Shiurim on the Yomim Tovim, click here. 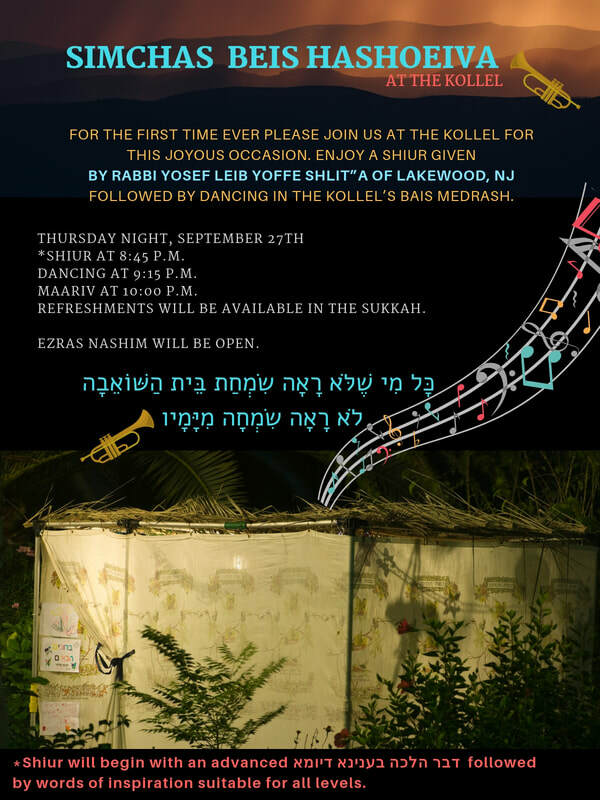 The Kollel Sukkos Bein Hazemanim (Intersession) runs from Thursday, September 20 through Tuesday, October 9 (Rosh Chodesh Cheshvan 1). ​ Mincha - 2:30 p.m.
Maariv Sun.-Wed. - 9:55 p.m.
· YOM TOV: Sukkos 5779 zmanim.